Despite its status as a lower middle-income country, 63 percent of Swazis live below the national poverty line. Swaziland has a very high HIV prevalence, impacting 26 percent of the population between the ages of 15 and 49. Life expectancy is 49 years, and 45 percent of children are orphaned or vulnerable. 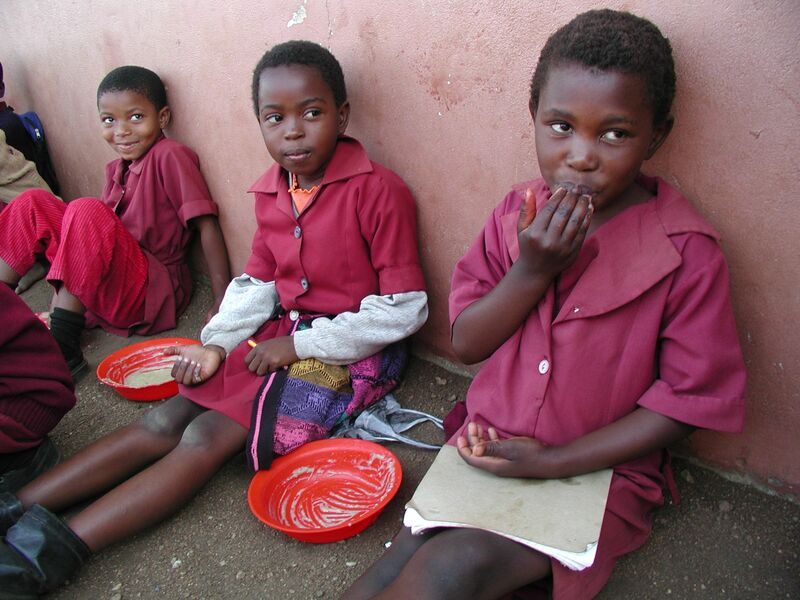 Chronic malnutrition is a main concern in Swaziland. Stunting impacts 26 percent of children under age five. Swaziland is vulnerable to drought in the southeastern part of the country. Seventy-seven percent of Swazis rely on subsistence farming for their livelihoods. WFP has been present in Swaziland since the 1960s, closing in 1997 and reopening in 2002 to alleviate the impact of HIV/AIDS, drought and poverty. Today, it works to improve food security and livelihoods of the most vulnerable people affected. WFP assists the Government supporting people living with HIV/AIDS and tuberculosis (TB). Through a food-by-prescription program, WFP offers nutrition assessment, counseling and support services to malnourished people receiving antiretroviral therapy, TB treatment or prevention of mother-to-child transmission services, as well as support to their families. Together, WFP and the Government aim to improve treatment and recovery outcomes by mainstreaming nutrition into HIV and TB support services. WFP also supports pregnant and nursing women. Additionally, WFP supports the Government in providing social safety nets for 52,000 orphans and vulnerable children under age eight, providing on-site nutritious meals to in neighborhood care points. Many of these kids live with relatives or in child-headed households, while these care points serve as a safe space for boys and girls to get access to early education and care. WFP also provided assistance to volunteer caregivers here; limited funding forced WFP to stop doing so in May 2016, which has had negative impacts on the care points. The UN agency’s technical assistance allows for the development of comprehensive strategies to address child undernutrition, particularly in the prevention of stunting. All WFP projects aim to support the capacity of the Government to manage food and nutrition security interventions. WFP provides emergency assistance to 70,000 people—or 14,000 households—in the Lubombo and Shiselweni regions, which include some of the most drought-affected areas in the country. WFP provides a monthly household ration of cereals, beans and oil. This operation is in line with the Government’s declaration of a state of emergency and appeal for financial and technical support from the international community.